This extremely precious family that needs our support! 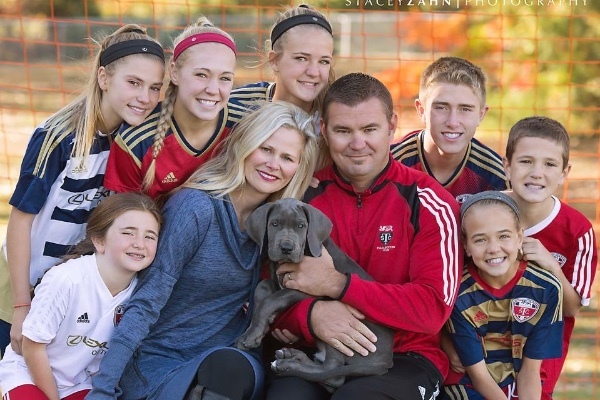 A recent tragic accident has impacted this sweet family as well as so many others. They have lost a son and currently have 2 daughters in critical condition. Their family has been through the unthinkable with a timeless road ahead. We can't fathom the emotions, however, we can help by surrounding them in prayer, love, and support as they begin with grieving, medical expenses, and trying to put their lives back together. As we struggle with how can we help during this time, your thoughts, gifts, and prayers are greatly appreciated. We all want to do something for this family we love, this is just a small way to show our sympathy and support for the difficult road ahead. Sorry there haven't been many updates. This family still very much needs our help! You can follow Izzy's progress through the following link!! Please conintue to support and pray for this family and encourage them on this long road ahead! Today our hearts are heavy as we celebrated the lives of Beck and Lizzy. One thing for sure is these two young people lived life to the fullest and have truly touched so many lives in their short time on this earth! But they are now with our Heavenly Father. We now need to focus our prayers, love, and support to these precious families as they try to put pieces back together and towards sweet Izzy as she continues to heal and gain strength! She has a long road ahead and we believe she will meet every challenge. First, I want to humbly thank each and everyone that has given or share d or prayed for these precious people. As an update, one of the sweet girls has passed away. This precious family has lost 2 children and one remains in critical condition! Please continue to pray for this family . We can support them this way .